The ferocious metal band are back! Why See Five Finger Death Punch? As the name suggests, Five Finger Death Punch aren't your grandmother's band. Named after the nifty and deadly martial arts technique in Tarantino's Kill Bill, this heavy metal fivesome formed in Las Vegas in 2005 and have been climbing the metal ranks ever since. 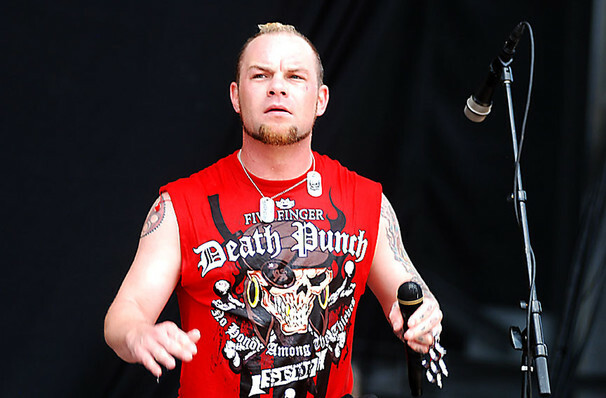 Led by vocalist Ivan Moody, Five Finger Death Punch are renowned for their ferocious stage presence and expert blending of thrash, alt rock and classic metal elements. Heading out on quite a trek this year in support of 2017's Greatest Hits and their upcoming seventh album release, the much anticipated 'and justice for none'. Now multi-platinum sellers, the guys will be joined by Shinedown May 6 - 20 and then will pair up with Breaking Benjamin November 6 - December 12. Sound good to you? 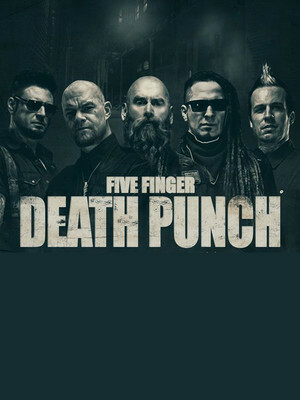 Share this page on social media and let your friends know about Five Finger Death Punch at Hollywood Casino Amphitheatre. Please note: The term Hollywood Casino Amphitheatre and/or Five Finger Death Punch as well as all associated graphics, logos, and/or other trademarks, tradenames or copyrights are the property of the Hollywood Casino Amphitheatre and/or Five Finger Death Punch and are used herein for factual descriptive purposes only. We are in no way associated with or authorized by the Hollywood Casino Amphitheatre and/or Five Finger Death Punch and neither that entity nor any of its affiliates have licensed or endorsed us to sell tickets, goods and or services in conjunction with their events.